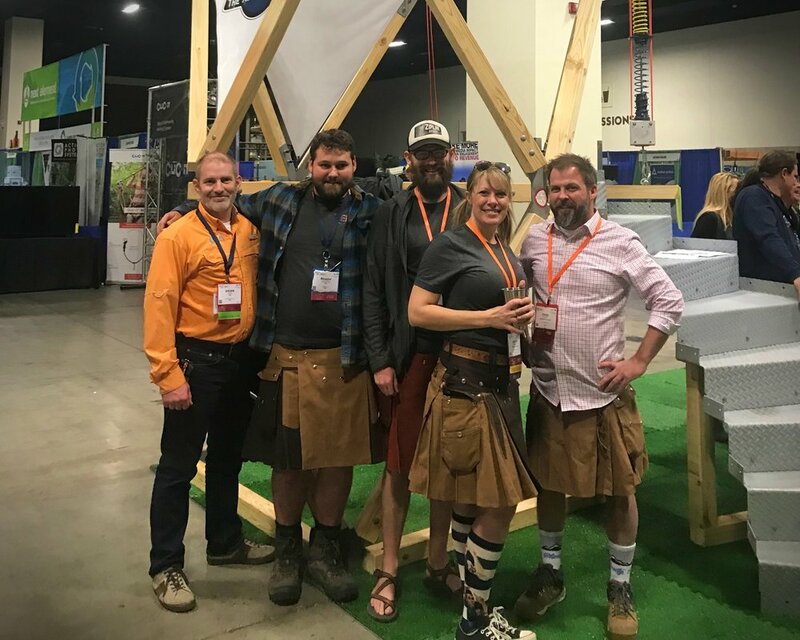 The ERi team with their GeoFort at the 2018 Association for Challenge Course Technology (ACCT) conference. Mandy has over 15 years under her belt in this industry and has worked with ERi on various projects since 2006, joined the team officially in 2016, and accepted the position of Chief Executive Officer in 2018. She currently serves on the Board of Directors for the Association for Challenge Course Technology (ACCT), has both chaired and worked on various ACCT committees over the years, and is an active member of ASTM International F24 Committee on Amusement Rides and Devices. She is an ACCT Qualified Course Professional Trainer/Tester for Level I, II, and Course Manager practitioners. Mandy presents to international audiences on marketing, operational development and design, and how to achieve compliance including ANSI/ACCT and ASTM International standards. She specializes in quality assurance, creating systems to ensure that everyone’s needs are met completely and efficiently, from owner/operators to regulatory bodies. In 2016 Mandy received the ACCT Community Award for Outstanding Service. Todd’s career in the industry spans over 25 years. He has been an owner of ERi for 20 years and remains ERi’s majority partner and Chief of Design & Development. Todd has served on the ACCT Board of Directors (indluing several years in the role of Vice Chair), chaired the ACCT Zip Line Canopy Tour Standards writing committee, and has also served on the Professional Ropes Course Association (PRCA) Board of Directors. Todd has designed and built hundreds of products from low ropes courses and suspension bridges, to adventure parks, zip lines, and canopy tours. At heart, Todd is a guest experience designer and is known within the industry for his unique and creative designs, as well as technological innovations. Todd is an ACCT Qualified Course Professional Designer, Inspector, and Installer. He owns and operates multiple adventure and tourism-based attractions that serve thousands of happy guests annually.